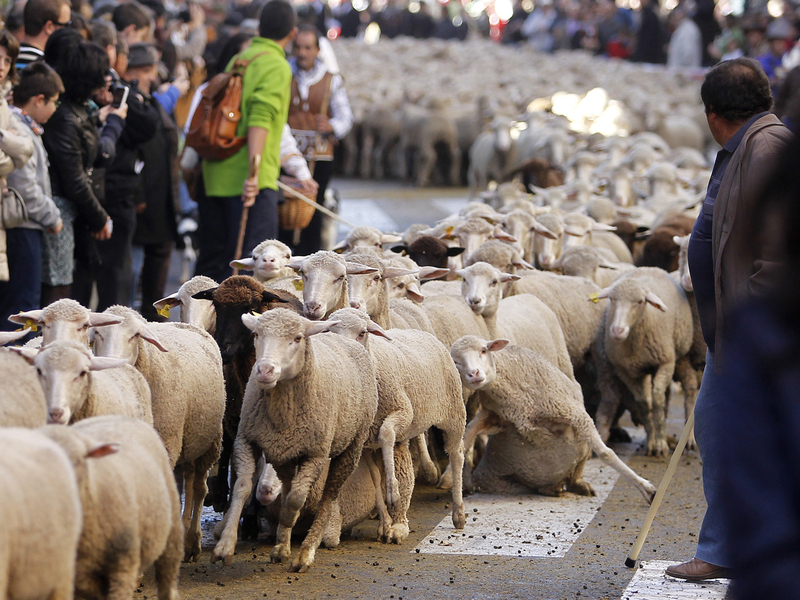 MADRID Spanish shepherds led a flock of more than 2,000 sheep through central Madrid on Sunday in defense of ancient grazing, migration and droving rights threatened by urban sprawl and modern agricultural practices. Every year, a handful of shepherds defend the right and, following an age-old tradition, on Sunday paid 25 maravedis -- coins first minted in the 11th century - to city hall to use the crossing. Shepherds have a right to use 78,000 miles of paths for seasonal livestock migrations from cool highland pastures in summer to warmer and more protected lowland grazing in winter.